In 2014, USLGA presented the first LIFT Award. Below you'll find the LIFT Award purpose and recipients. If you are a USLGA Member and have a Nomination, please login and fill out the LIFT Award Nomination Form. USLGA "LIFT" Award - “Lavender Ideas for Tomorrow"
The LIFT Award is given to those whose passion, actions, and innovations encourage and shape tomorrow. USLGA honors these pathfinders because they offer us something new, a better method, a new invention, an artful design, inspiration, and passionate advocacy. The LIFT Award acknowledges their significance, influence, and contribution. The U.S. Lavender Growers Association presents the "LIFT" Award, "Lavender Ideas for Tomorrow", to Jim Morford on January 24, 2018. The LIFT Award is given with deep appreciation to Jim Morford who joined USLGA in 2012 after the organization launched as a Charter Member. He has been active ever since. He was recruited by our current President to take on the role of Chair, Education & Research Committee. He continued to serve as Chair after he was elected to the Board of Directors in 2013 for another year. He set the framework for the work currently being done by that committee with extensive educational pieces he coordinated. Jim has been instrumental in lining up webinars for the deadly Phytopthora Nicotiana that hit numerous farm members in 2015 and continues to this day. Jim has always been a great provider of information concerning growing lavender successfully. He has been a speaker at two of our national conferences and teaches ‘Lavender 101’. He was instrumental in helping get the regional idea off the ground helping round up member farms in Kansas, Nebraska, Iowa and Missouri (Region 6) to meet at his farm for a day of information sharing. It was so successful it served as the model for setting up all regional activities. After having two successful events within this ‘region’, the idea was presented to the Board of Directors for approval. Many who attend these events have remarked, “I learned more here in one day than at the national conferences!” This has been attributed to the ability to spend time one-on-one with fellow members to ask questions and get assistance in working through issues we have in common, as well as getting new ideas to try on our own farms. Jim’s selection for our 2017 recipient is in recognition of the work he has put into USLGA and to assisting his fellow growers without expectation. This award is given to acknowledge the leadership, innovation, dedication, and support of other growers to Jim Morford, who “lights the path” for lavender growers today and into the future. The U.S. Lavender Growers Association presents the "LIFT" Award, "Lavender Ideas for Tomorrow", to Mike Neustrom on January 27, 2017. The LIFT Award is given with deep appreciation to Mike for his participation in the formation of USLGA, shaping the USLGA Treasurer role, serving as Treasurer, leading as the second President, providing industry equipment, and his willingness to share information and expertise. 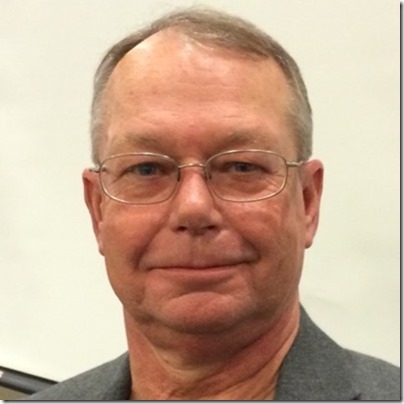 While building and running his own successful business, Prairie Lavender Farm, he has been an active member in the Association Committees, as well as his service on the USLGA Board. The LIFT Award is given to those whose passion, actions, and innovations encourage and shape tomorrow. USLGA honors these pathfinders because they offer us something new, a better method, a new invention, an artful design, inspiration, and passionate advocacy. The LIFT Award acknowledges their significance, influence, and contribution. Working closely with a developer, Mike is the inspiration for one of the first debudders and cleaners for the industry. 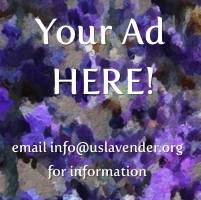 Several lavender farmers have already purchased and put his machine into good use. He is an inspiration in his commitment and ongoing dedication to the members of the Association. Mike has shared unselfishly his expertise in the lavender field to new farmers, as well as anyone who was experiencing difficulty with their lavender. His knowledge of farming and his research to solve problems continues to inspire. This award is given to acknowledge the leadership, innovation, dedication, and support of other growers to Mike Neustrom, who “lights the path” for lavender growers today and into the future. The U.S. Lavender Growers Association presents the 2015 "LIFT" Award, "Lavender Ideas for Tomorrow", to Mary Bergstrom on January 13, 2016. The LIFT Award is given with deep appreciation to Mary for her leadership, project management and organizational skills, computer technology expertise, determination/dedication, teaching, and contributions to the lavender industry. The LIFT Award is given to those whose passion, actions, and innovations encourage and shape tomorrow. USLGA honors these pathfinders because they offer us something new, a better method, a new invention, an artful design, inspiration, and passionate advocacy. The LIFT Award acknowledges their significance, influence, and contribution. 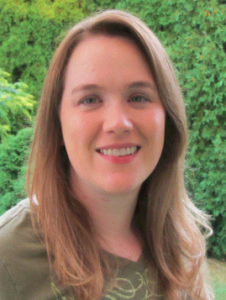 Mary Bergstrom is the inspiration for the 2015 annual award. Her diligence and dedication in setting the groundwork for the United States Lavender Growers Association and following through with her vision during her role as President, has been a key force in the creation of an organization to help, support, and encourage lavender growers. She continues to serve on the Board of Directors and as multiple Committee Chairs, including the Internet and Event Committees, and participates or supports other committees. By having the vision for an organization to help and encourage lavender growers, Mary has connected lavender growers all across the U.S. Whether a grower has a hundred plants or thousands, members can now share growing experiences, educational resources, and advocate for and support the U.S. lavender industry. Many lavender growers have increased their knowledge and skill by connecting and learning from others due to Mary’s efforts in spearheading the development of the USLGA website. Another example of Mary’s desire to grow a strong U.S. lavender industry was her recent experience with phytophthora. She strives to educate other growers with research resources to help the U.S. lavender industry learn more about the disease and what can be done. This award is given to acknowledge the leadership, dedication, technology, expertise and most of all the inspiration from Mary Bergstrom who "lights the path" for lavender growers today and into the future. The U.S. Lavender Growers Association presents the "LIFT" Award, "Lavender Ideas for Tomorrow", to Kathy Gehrt on March 26, 2014. The LIFT Award is given with deep appreciation to Kathy for writing, sharing, teaching, and contributing to the lavender industry. The LIFT Award is given to those whose passion, actions, and innovations encourage and shape tomorrow. USLGA honors these pathfinders because they offer us something new, a better method, a new invention, an artful design, inspiration, and passionate advocacy. The LIFT Award acknowledges their significance, influence, and contribution. Kathy Gehrt is the inspiration for this new award and is the first to receive it. 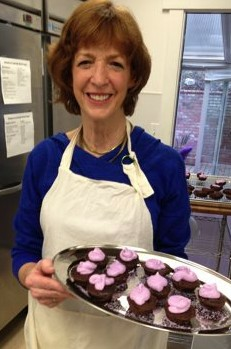 Her love of lavender and new lavender recipes resulted in her popular lavender cookbook, Discover Cooking With Lavender. Kathy's creativity and delight in cooking with lavender come together in her lovely cookbook full of gorgeous photographs and delicious recipes. Kathy has inspired us to try new (and familiar!) lavender recipes and experiment with new ideas. Kathy is held as an expert in using culinary lavender and carried the exciting uses of lavender into wineries and other venues! Kathy’s passion for lavender led her to travel the world and visit lavender farms from Hawaii to Australia. Her interest in cooking, teaching, and business studies led to her speaking at conferences, workshops, and festivals across the U.S. and Canada. Kathy is also a lavender ambassador and advocates for everyone to use lavender in new, and different ways, introducing them to expanded opportunities. This award is given to acknowledge the work, the imagination, and most of all the inspiration from Kathy Gehrt who "lights the path" for lavender growers today and into the future.